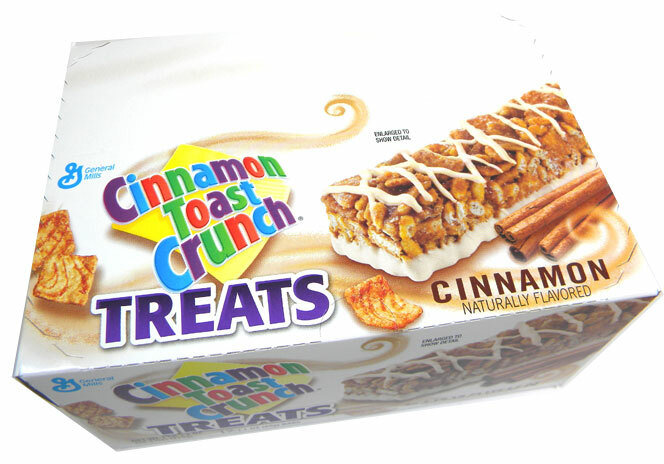 Cereal Treats & Snack Bars: Seriously Tasty! Are you always on the go? Do your kids want something new packed for their school lunch or snack? Give General Mills snack bars a try! 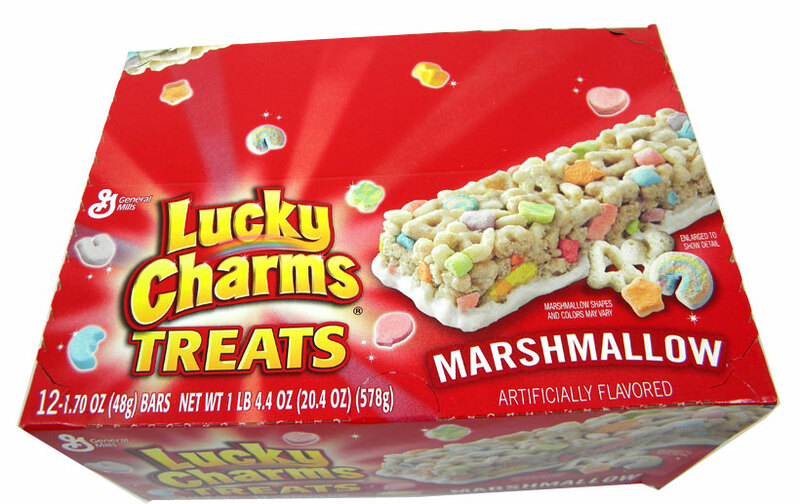 Each snack bar is made from the most coveted cereals: Cinnamon Toast Crunch, Golden Grahams, and Lucky Charms! Cinnamon Toast Crunch treats are just as delicious as a bowl of cereal, but much more functional! They’re great at snack time and even for breakfast in a pinch. Each box comes stocked with not five, not ten, but twelve 2.1 ounce bars! Get your crunch on with these handy treats. Okay, so maybe you’re more of Golden Grahams fan. If that’s the case, then you’re in luck! 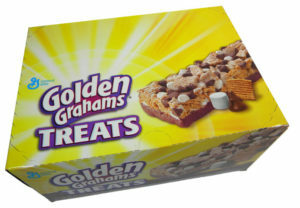 There are also twelve individually-wrapped snack bars in one box of this wholesome treat. Even though the bars are just over two ounces, that doesn’t mean they’ve skimped on the flavors that you know and love! It’s the same great cereal, just in a new, more accessible form. 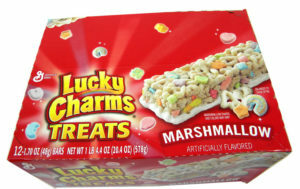 And, of course, we cannot forget the Lucky Charms option. Just as fun as a heaping bowl of this magical cereal, Lucky Charms snack bars come loaded with toasted oats and gooey marshmallow goodness! Try these easy to grab-and-go bars today! With affordable pricing at BlairCandy.com, try one box, or try all three, today! 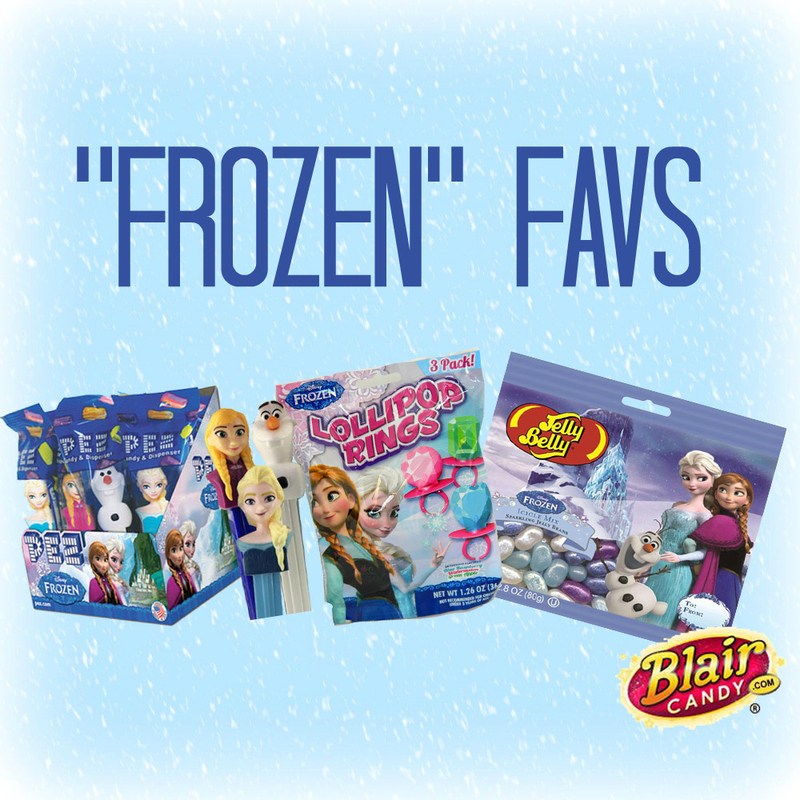 If you have children, grandchildren, younger siblings or cousins, chances are you’re no stranger to the Disney movie, “Frozen.” Here at Blair Candy it’s one of our favorites, too! We’re pleased to carry “Frozen” treats for all ages to enjoy. There are Frozen Pez dispensers, lollipop rings and even jelly beans fashioned after this family favorite. Our “Frozen” Pez selection comes as an assortment of 12 dispensers per box. Each box comes with Anna, Elsa and Olaf dispensers, plus candy refills. They make for great children’s favors, whether it’s a birthday party or just a winter-time play date! Frozen Lollipop Rings will help any young girl feel like a Disney Princess, and give them something sweet to snack on! If you know a little girl who loves this movie, you know how much she wants to be like Elsa or Anna. Treat her to one of these candy jewels to wear, eat and feel like royalty! And who doesn’t love the extraordinary, or should we say out-of-the-ordinary, flavors of Jelly Belly jelly beans? Now there are “Icicle Mix” Disney jelly beans! Keeping with the “Frozen” theme, Frozen Jelly Beans are great for snacking or for creating a decorative candy display that will almost look too good to eat! But with sparkling flavors like berry blue, grape and cream soda, it will be hard not to snack away! So grab the movie, along with some “Frozen” snacks from Blair Candy and let the magic unfold!